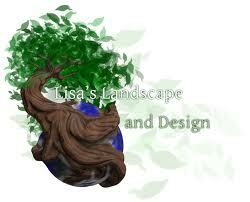 Lisa’s Landscape & Design, Saving the Planet One Yard at a Time. A concept that started with a rather bitter seed has grown into something beautiful and so much bigger than myself. For many years I have known the Planet needed saving but I wasn’t exactly sure how anyone would go about it. It was rough for me to see the way people seemed to have lost sight of the values of nature and those who fought to protect it were labeled “Tree Huggers” as though it were a bad thing (Turns out hugging trees is actually good for you). In the midst of it all I remember watching an Oprah show when my oldest who is now almost 20 was just a babe, where she asked “what is your purpose”? I got irritated about that question and it bothered me for years. I was home raising my children, both Autistic but at very different ends of the spectrum and with great success as it turns out, but there was something missing. I loved being a wife but mother but I knew that my other purpose was calling me. Years later as I drove through my neighborhood watching water from someone’s lawn run down the street and into the sewer, I remember saying to my husband, “With all the wars, pollution, chemicals and ignorance, what kind of world will our kids grow up in”? I wasn’t really happy with the answer… He didn’t know. I eventually felt myself becoming embittered by it all. Not in every moment or in every day, but in the small sneaking, toxic ways that attack who you are and who you want to be. One day after complaining about an irresponsible neighbor killing a tree from the chemicals he poured onto his yard, I decided to take the next opportunity to stop him and explain a safer method of fertilizing which he really appreciated. Finally It hit me…I could make a greater difference by being positive and encouraging and lord knows the bitchin wasn’t working. By providing to others the education, support and encouragement I might not change the world, but I could make a change in my neighborhood and I saw that when those neighbors knew better they did better. I could potentially “Save the Planet One Yard at a Time”. I could help people understand the damage brought on by chemicals, poor plant use, and the waste of valuable resources and in return I got happiness, fulfillment and hopefully a healthier planet. I joined the HOA board in my community and replanted the entire main entrance with native and adapted, low water, low maintenance plants and posted newsletter articles on how to grow organic, native, low water gardens and trees and before you knew it, people were talking. I realized my calling, I opened my own landscape business and made my motto “Saving the Planet One Yard at a Time”. With each customer, friend, family or neighbor I tried to encourage people to do things my way. (Actually, it is Mother Natures way, I just stole it ;-)) Interestingly enough, the most resistant people were closest to me and I learned early on to just shut up when the hint was given and use my talents where they were appreciated. Those who responded well were going to do it, those who didn’t would come around eventually. I also spent every opportunity and last once of energy encouraging people to speak to their HOA’s about embracing the change as well. I encouraged all of my customers, blog readers and fb pager’s to SCREAM if necessary for HOA changes, as with most things the squeaky wheel gets the oil. I believe my favorite quote ever is “Be the change you want to see in the World”~ Gandhi. I needed to be that change if I wanted to see it, so I turned my passion into a career, a philosophy on life and secondary to being a wife and mother…”my purpose”. I would like to think that the changes I am making will be of value to my children and to their children. You can make such an amazing impact on the Planet by making even the smallest changes. Your one yard does make a huge difference. Speak to your HOA and encourage your neighbors to go with you even if you means you go door to door. Making better choices in your little space can make an enormous impact. Set the example for those around who see it really works to be organic and choose the right plants. Setting the example for your children and others doesn’t have to be a full-time job, it is simply a change in lifestyle. Much like any other movement, it has to start with a single thought and that thought has to be followed up by an action…by someone…by anyone. Why not you? That’s a very good purpose. I think after this summer, a lot of people will be rethinking their gardening and watering techniques. Maybe something good will come out of this, after all. I sure hope so Linda, as I have sat in midst of an absolute depression over the past months about the current conditions. My husband has reminded me time and again that this is what I have working towards for a long time and that this is an opportunity.